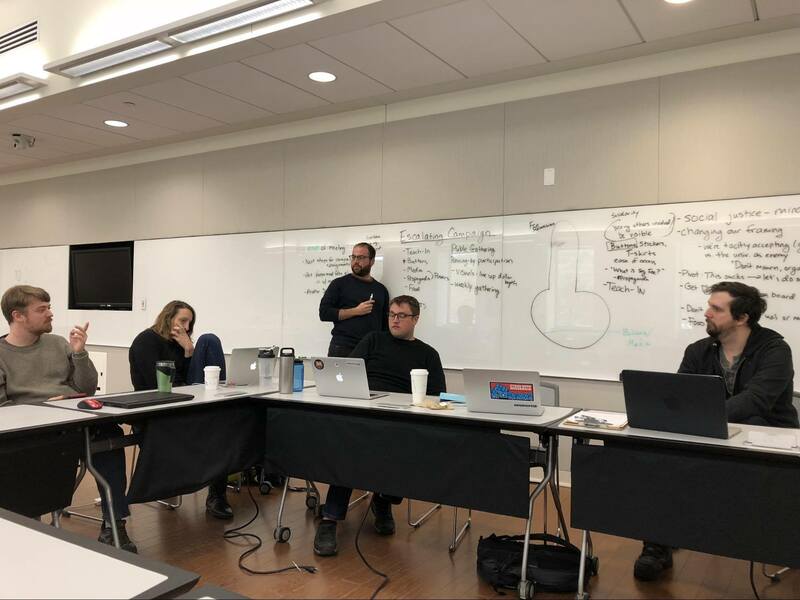 Stewards’ Council met on January 17th to share strategies for improving our departments and to discuss our organizing plans for the coming semester. We want to continue working toward receiving better pay, covering mandatory fees, and rescinding international student fees. We can collectively do something about these working conditions! Working groups are currently developing messaging around these issues and planning our next actions to put pressure on our administration to do the right thing. Please contact Rob to lend a hand! Read the latest updates on mandatory fees here.